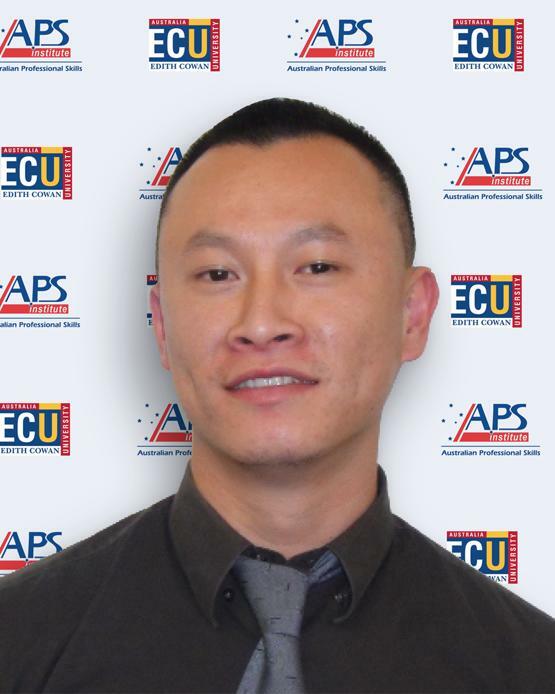 The APSI professional team are essential staff members who are committed to provide top quality training services to our students. Student learning experience is essential to the overall satisfaction of our training. Our trainers and administrative staff members are highly qualified with years of professional experience in education and training. Many of them gained their professional experience and education overseas and bring in a diverse skills and knowledge to our students. Meredith has a long career in a private education in Secondary, Vocational and Higher Education in Western Australia in the areas of Marketing, Sales and all aspects of Administration. Her passion is Client Services, and her expertise in Admissions, both Domestic and International, ensures that the students’ journey at APSI, from enrolment to graduation, is an enjoyable and rewarding experience. Sheila has an educational background in behavioral studies, human resources, management, as well as training and assessment. 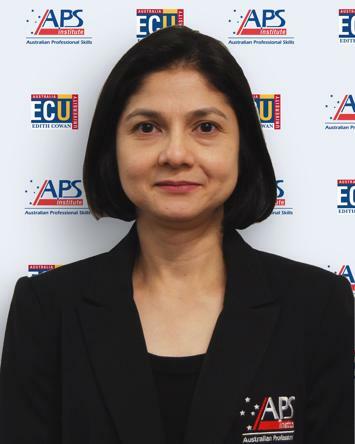 She has more than 20 years of experience as a Service Manager for various industries, which enables her to provide the best assistance to students during their studies at APSI. Jerri is the accounts officer and looks after the day to day bookkeeping and the accounts of APSI. Jerri assists students with their queries on fees and payment plan. Jerri knows all the difficulties with being a foreign student as she was one before. It is this firsthand experience that drives Jerri to ensure all students are provided with the right level of care and advice to ensure their problems are resolved. Jerri speaks fluent English, Cantonese and Mandarin. She holds an Accounting degree from Jinan University in China and a Masters of Human Resource Management from Edith Cowan University. Alicia has over 15 years’ experience in international education. 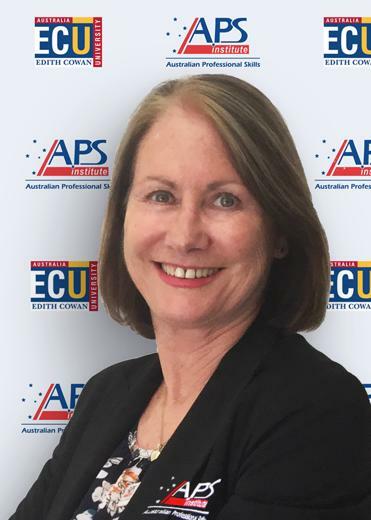 She has worked at universities and colleges in Perth as a teacher/lecturer, Manager/Director of International Engagement at Murdoch University and as a Manager at Edith Cowan University and Curtin University. She has completed a Bachelor of Arts (Japanese/Law) and Post Grad Diploma in Marketing. Kate has lived and worked extensively both in Australia and overseas in the healthcare field. With qualifications in healthcare and management she oversees the facilitation and operations in aged care and other training departments. Her particular interests are in supporting the needs of people with dementia illnesses and people receiving palliative care. As with all APSI trainers, Kate’s dedication is in assisting the students to achieve their study goals and become successful in their chosen careers. Leanne has worked and taught extensively in community, aged care and disability care for over 20 years. Leanne has worked in registered training organisations during this time and is one of the team’s most experienced and long term educators. She also holds her Diploma in Counselling and oversees the counselling and pastoral care of all the students at APSI who requires professional counselling and support during their studies with APSI. Jacky delivers training in Certificate III in Individual Support, with specialisation in Ageing, home and community care and Disability in the past 5 years with APSI. Jacky teaches through her many years of experience as a trainer and professional and is highly regarded in this industry as one of the top trainers in Perth. Her passion and dedication to supporting older people has helped hundreds of our students graduate successfully with jobs and undertake further studies in a highly competitive and growing field in Australia and overseas. Yannick has been working in the aged and community sector for over 25 years and brings to APSI her passion for supporting older people and people with disabilities in the community. Yan has a special interest in caring for people with dementing illnesses and incorporating current strategies to maintain quality of life, she also has experience caring for people who are receiving palliative care, and incorporates a whole of person philosophy into training our students. Yan’s knowledge of the sector is empowering students to develop into highly skilled professionals who are committed to best quality care. Andy is a qualified trainer/assessor, whose main forte is traineeship and workplace training. He specialises in the hospitality, business and management sector. He has been in the hospitality industry for over 22 years and manages his own consultancy company, specialising in customer service, business management and the development of training operational manuals. He has been in the VET sector for over 13 years, representing both private RTOs and government organisations. Andy is very unique to his students as he adapts and customises his training, and delivery strategies to ensure they achieve their full potential. He has also been one of APSI’s longest running staff members and helped to set up APSI’s first barista training course in Scarborough. With 15 years hospitality management experience and six years of direct institutional experience, Jill has vast experience in both industries which incorporate learning and training. Jill’s credentials include a Double Diploma in Vocational Education and Training (VET) and Training Development and Design (TDD), TAE40116 Training and Assessment, Advanced Diploma in Business and Leadership and Management, Honours in Hospitality Management from APSI’s partner university Edith Cowan University. Claire has been a trainer/assessor for over four years and is passionate about the Hospitality Industry and creating exceptional managers that are industry ready. Claire has worked in Australia and internationally in many restaurants, wineries and hotels for over 15 years. 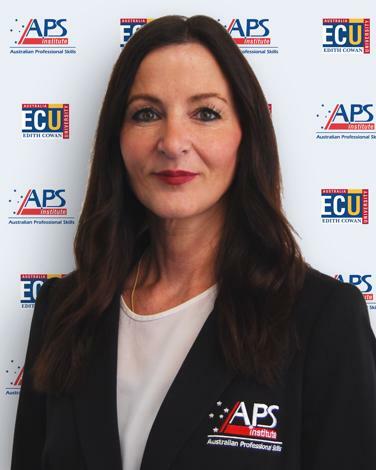 She studied in Italy and Australia, completing her Bachelor Degrees in Hospitality Management and Business Management at APSI’s partner university, Edith Cowan University. Claire has managed prestigious venues in Perth, including Jacksons Restaurant, MUST Winebar, Frasers Restaurant Kings Park and The Breakwater. Claire has worked in many venues around the world; Dubai, New York, Vegas, Santiago, Vina del Mar and Milan. She also worked as a tour guide in Italy, she is a qualified sommelier and has done winemaking and wine judging in Australia and New Zealand. Steph teaches Certificate III to Diploma in Hospitality Management at APSI. She has over 15 years’ experience in Operational Hospitality Management and Function Sales Management. She holds a Diploma of Hospitality Management and has worked in the management team of a number of prominent Perth venues including The Old Brewery, Frasers Restaurant Kings Park, Indiana’s Cottesloe Beach and Frasers Suites Perth. 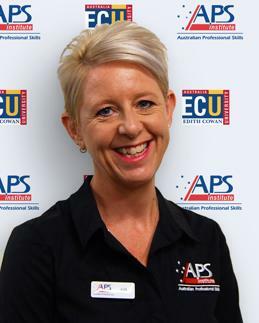 In 2017 Stephanie came from Rendezvous Perth, part of the TFE Hotels group to join the APSI team as hospitality trainer/assessor and is passionate about practical workplace training for hospitality students and creating exceptional showcase events at the Perth Hospitality Academy/East Perth Function Centre, which is the hospitality division of Australian Professional Skills Institute. 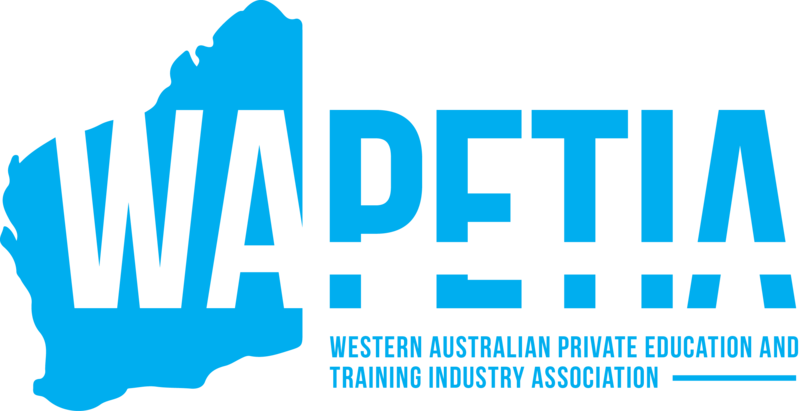 Shannon is a fully qualified chef trainer through the Australian Apprenticeship system. Originally from Victoria, she has worked around Australia and the UK but always gravitated back to Perth. Shannon has worked in hotels, resorts, cafes, fine dining and also mining camps. Shannon has a particular passion for desserts and enjoys seeing the reactions and the pride of the students when they have produced something they are truly proud of. 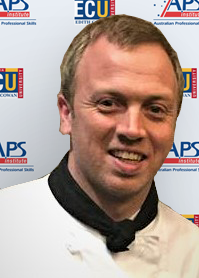 Shannon also looks after the chef apprentices at APSI in various client’s venues. Rainer was born in Germany and from a young age, Rainer has always been interested in food – he credits his mother as one of the most gifted cooks that created the tastiest food from an enormous veggie patch, fruit orchard, flowers, herbs and rabbits that nourished his family. Rainer’s professional career started in a small hotel and restaurant in northern Germany in 1986 and completed a 3-year apprenticeship as a chef. During this time he learnt the culinary basics from renowned European chefs that shared their knowledge and skills. He continued his passion for food, travelling to Hamburg, London, Zurich, Sydney and in Perth since 2009. Rainier spent 6 years “banging pots and pans around” in two upmarket Perth restaurants. With his industry networks and connections, Rainer has successful placed APSI students in prestigious dining venues such as the Wild Flowers in Como the Treasury hotel, Hadiqa in Hibernian Place and Westin Hotel. 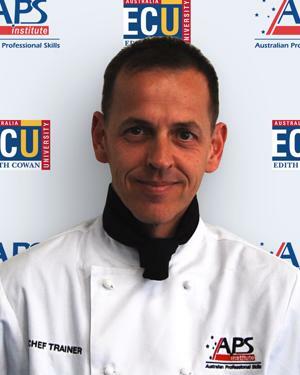 Paul Walker is a chef trainer and owner of Culinary Soul which is a catering and consultancy company. Paul has coached a number of chefs who received gold and silver medals in the Oceanafest Salon Culinaire. Over the years, Paul was employed as an award-winning chef at prestigious venues such as Bread in Common (Best new restaurant in the 2015 WA Good Food Guide) and Halo, and Head chef at boutique catering company Brush, Fork & Pencil. During his training as a chef he was employed at a number of Michelin star venues in the North West of London, also receiving the award for North West Young Chef of the Year 2003. Paul believes the secret to a good training is to fully immerse yourself in it and most importantly to have fun doing it! Catherine has a passion for cookery and patisserie and has been in the industry for more than 14 years. 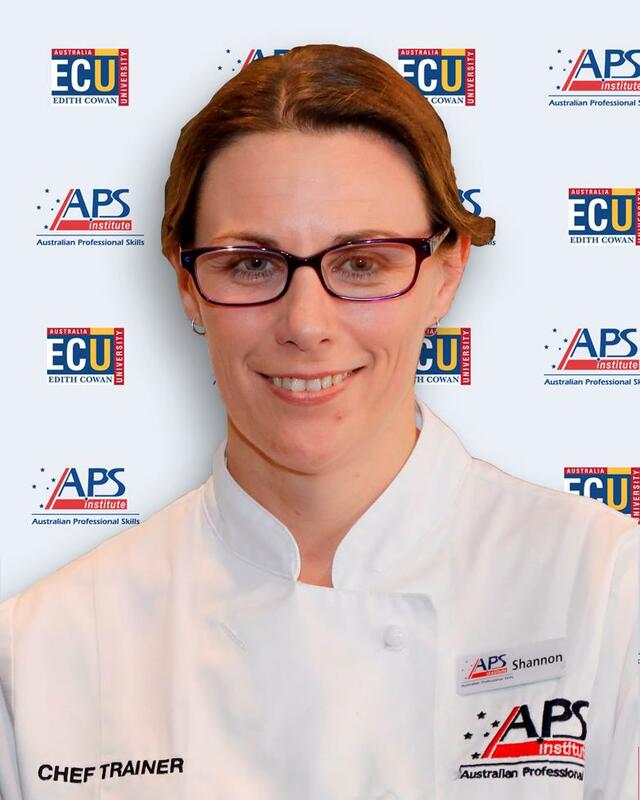 She has completed a Certificate III in Commercial Cookery through the Australian Apprenticeship system, Certificate III in Patisserie and Cert IV in Training and Assessment. Having Filipino parents Cat likes to experiment with a fusion of Asian and European desserts. She completed her apprenticeship in NSW and has worked in Cafes, restaurants, bistros, motels. After moving to Perth she followed her dream to specialise her areas of expertise in Pastry/Patisserie starting at C restaurant and later moved to become head pastry chef at Jean Pierre Sancho bakery for 5 years. Cat really loves how food brings people together and the creativity behind it all! With 20 years of experience in Management and People Development, Deb has extensive experience in coaching and mentoring to individuals, groups and organisations. Deb completed her Master of Business Leadership at Curtin Graduate School of Business. She has a particular passion for people development, team building, and growing business and leadership capacity. Her motto is: ‘Who dares to TEACH must never cease to LEARN’.